The tenth tee is where the railway runs alongside. Perhaps it is the least interesting hole on the course, a hole rescued by a spendid sloping green. The shot to the green needs to come in from the top right. 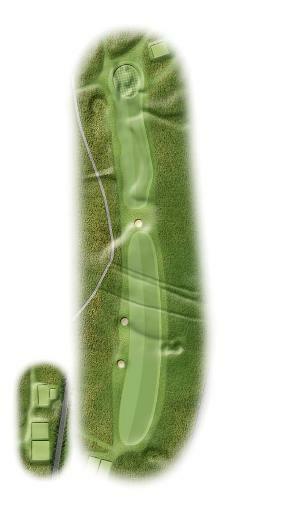 Should the pin be top right you will be fortunate to leave the green with two putts.